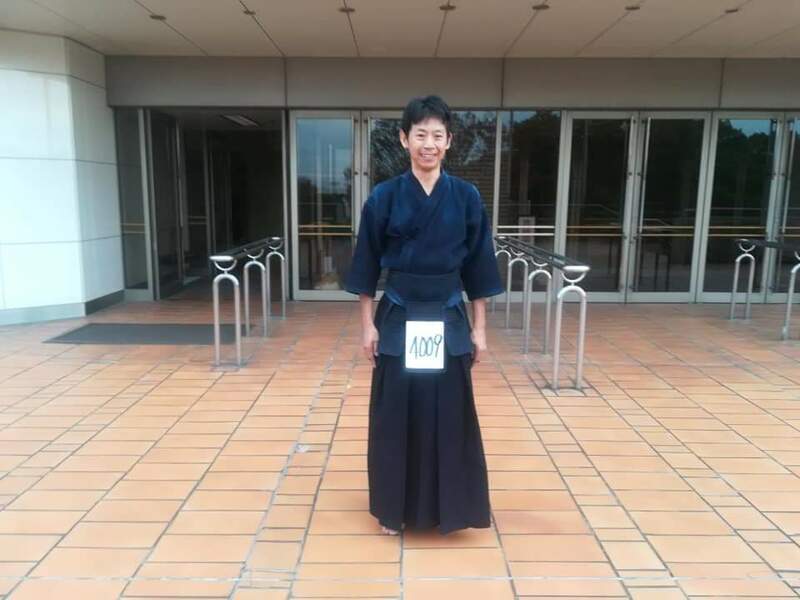 The Queensland Kendo Renmei Incorporated guides the development of Kendo, Iaido and Jodo activities in Queensland. This site contains information for members and interested guests to assist in the furtherment of these arts. The QKR Good Sports Policy can be downloaded here. Get Started Vouchers are now available to QKR members aged between 5 and 17 for up to $150 to go towards club membership and training. The QKR will advise when new rounds are available. Current Round 13 opened on Feb 6 and Round 14 opens on July 17. 3. The Grading Application Form - AKR Manual of Documents, Appendix 6.8. Can be downloaded here. Grading requirements can be downloaded from the AKR website here. On behalf of all QKR members I would like to take this opportunity to congratulate Tamura Sensei on this great achievement as a result of his continue commitment to his training and development. Tamura Sensei has achieved this well-deserved result and at the same time maintained his committee to the running of the QKR in his role as Vic-President. Please see below as the dates and venue have been set for the QKR July Seminar and grading. Please ensure your membership for the 2020 year in order to attend seminar. This is required for seminar attendance and grading eligibility, that will allow time for funds to clear prior to treasurer submitting November return. Where there are 3 members in one family attending, a family rate will be 2 full paying members, any more than two from the one family, will pay half price for seminar. The seminar program comprises two primary seminars each year. These will represent a Winter and a Summer program. The Winter event will be held in June/July and the Summer event will be held in the second weekend in December each year. Grades will be offered at both kyu and dan levels. The QKR will provide instruction in all three arts depending upon attendance at these events. The QKR may provide a travel allowance based on distance from the venue and participation from all members. From time to time, special training may be available with specific visiting Sensei and groups. All such events will be posted in the QKR Calendar. Click here for details of the upcoming seminars and special training. The Queensland Kendo Renmei is the official governing body for Kendo, Seitei Iaido and Jodo in the state of Queensland. The Australian Kendo Renmei is the only authorised body in Australia under the International Kendo Federation (FIK).